The Santa Barbara Woman’s Club was founded in 1892 for the purpose of enriching the cultural, civic, and social interests of its members. Meetings were held in downtown Santa Barbara, but as the Club’s popularity grew, the membership soon outgrew the location. 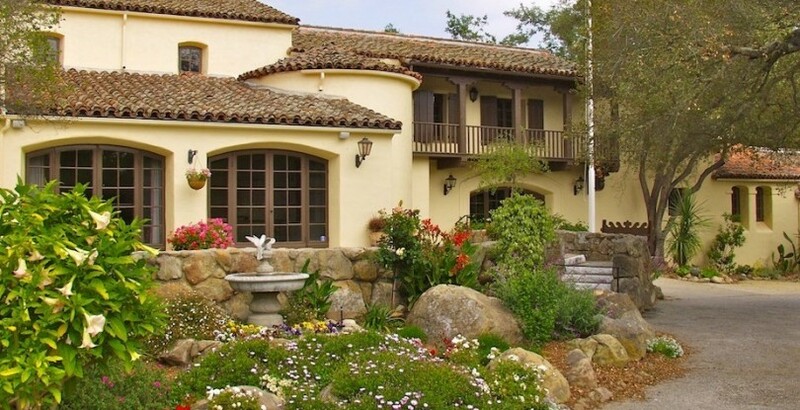 “Rockwood” has a beautiful Spanish Colonial Revival style, complete with stucco walls, open beams, and a red tile roof. Many of our guests comment that our Clubhouse has a wonderful Santa Barbara look and feel. Our members continue to meet, and the Santa Barbara Woman’s Club is now a social organization that meets regularly, offering our members luncheon and afternoon teas that include speakers and entertainment, as well as book clubs, bridge, Mah Jongg, yoga, and other activities. We welcome guests to our events, and we encourage local ladies to join our organization. Please contact our office administrator about our schedule of activities and membership details.